Songkran Festival (Water splash) : Chiang Mai, Thailand. Chalermphrakiat Phajomkhoa Rajanusorn (Wat Bhu Pha Dang) : Lampang, Thailand. Loy Krathong : Lantern Festival : Chiang Mai, Thailand. Monk's Sermon and Meditation on Lantern Festival : Chiang Mai, Thailand. Patuxai (War monument) : Vientiane, Laos. Angkor Wat : Siem Reap, Cambodia. Bagan (Phu Gam) : Mandalay, Myanmar. Ha Long Bay : Quảng Ninh, Vietnam. How often do you have the occasion to change your life? To follow your Impulse and reexamine the way you see the world and your place in it? 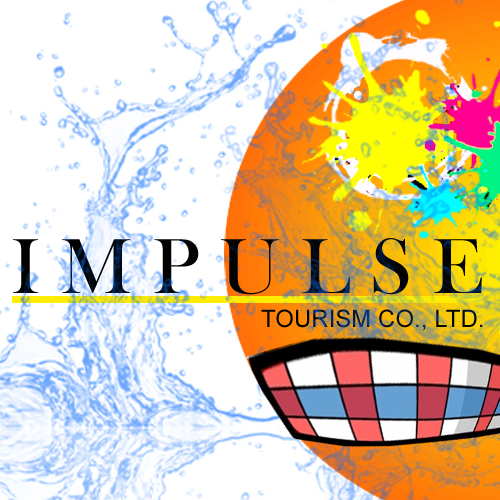 By traveling with Impulse into the heart of Southeast Asia, you have that opportunity. Like no other Continent in the world, Asia offers unparalleled richness of cultures and historical past, breathtaking scenery and spectacular beaches. Our competence : we are dedicated to creating travel experiences in a pioneering spirit by developing interesting and unique products, be it cultural journeys, adventure trips or a mix of both. Our philosophy : to provide the kind of travel experience we ourselves would enjoy and to fulfill your expectations of an enriching, insightful and enjoyable holiday. Our responsibility : to engage in responsible, non-exploitative tourism respectful of local people, environment, tradition and customs and to bridge the culture gap between visitor and local.